Why is Google Chrome Showing RSS Feeds as XML? 1. Launch Google Chrome 60. 3. Press "Enter" key. You see the RSS feed display in XML format, not formatted as feed items. As you can see, Google has decided not to have Chrome support formatted viewing of RSS feeds by default. 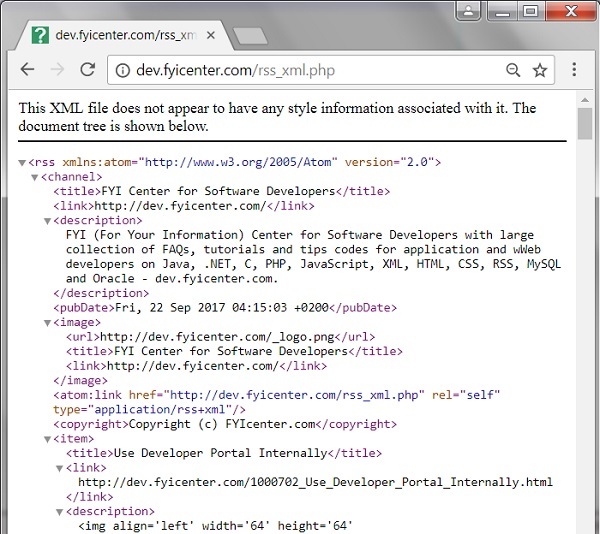 The RSS feed is displayed as XML source code now.